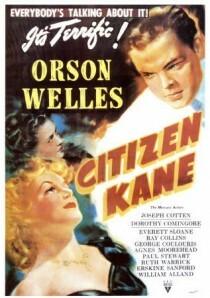 A sophisticated masterpiece and one of the world’s most famous and highly-rated films, Citizen Kane contains many extraordinary performances and scenes using cinematic and narrative techniques which were experimental and innovative at the time. Director, star and producer Orson Welles, at a fresh-faced 25 years of age, engendered controversy with his debut film as it appeared to draw unflattering parallels with the life of William Randolph Hearst, a powerful newspaper magnate and publisher. Hearst tried to suppress the film’s distribution through intimidation, blackmail, newspaper smears, discrediting and the encouragement of FBI investigations. A must-see education in cinematic history. And a wonderfully entertaining film at that! A movie with some wonderful dialogues that is so meaningful and has great depth. The camera work, cast, narration of story etc makes it a classic work. Nice review. Just watched this a few weeks ago and loved it! I tried to watch it but couldn’t get into it. Maybe I’m not enough of a cinephile to appreciate it.